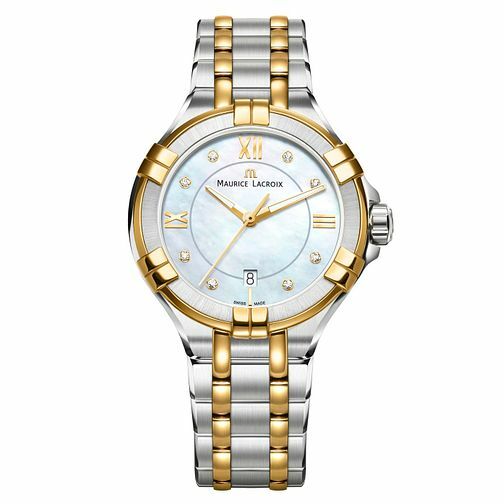 Maurice Lacroix create a timepiece with colour and charm with an iridescent mother-of-pearl dial that features gentle pastel colours that wash over the piece, allowing the diamonds to stand out and sparkle. The yellow gold case and hands create a luxury feeling that compliment the diamond accents and a date aperture is located at the 6 o'clock mark for added efficiency. Enjoy a piece that has been crafted with decades of Swiss watchmaking precision.